A rise in plastic food packaging is failing to reduce Europe’s growing food waste problem, and in some cases may even be fueling it. Big retailers are driving food and plastic packaging waste in Europe through practices such as food grading standards, and packaging food in multipacks and small format packs. One study showed that chopping green beans to fit plastic packaging resulted in 30-40% of the beans being wasted. Ariadna Rodrigo, Sustainable Products Campaigner at Zero Waste Europe said “The packaging industry and the European Commission are not practicing sound decision making when it comes to food packaging. Their methodology, which often ignore the impacts of plastic waste, result in to conclusions that favour complex food packs which are impossible to reuse or recycle. The result is the promotion of plastic packaging designed for landfill and incineration. A summary briefing of the report for media is available here. The full report is available here. The study shows how, between 2004 and 2014, household food waste in the EU doubled to an estimated 30 million tonnes per year. Plastic packaging waste increased by 50% over the same period, reaching over 15 million tonnes, although part of this may be attributable to new countries joining the EU The best-available data suggests around 40% of plastic packaging waste comes from food packaging. Analysis of the Life Cycle Assessment (LCA) tool – in principle, the most comprehensive framework in analysing and assessing the environmental impact of goods and services – shows that it commonly simplifies the drivers of food waste and overstates the benefits of plastic packaging. This includes focusing on carbon emissions as the key environmental impact, and assuming all plastics are recycled, incinerated or landfilled after use – not reflecting the reality on the ground, where recycling levels are hugely variable and often extremely low, and a substantial fraction of plastic packaging ends up leaked into the environment. 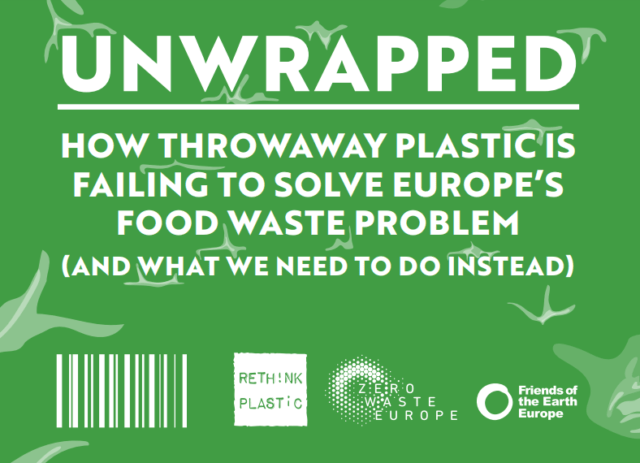 It also routinely fails to look at package-free or reusable options, which the report shows are on the rise across Europe, albeit in need of political support. A rise in plastic food packaging is failing to reduce Europe’s growing food waste problem, and in some cases may even be fueling it, report Friends of the Earth Europe and Zero Waste Europe.